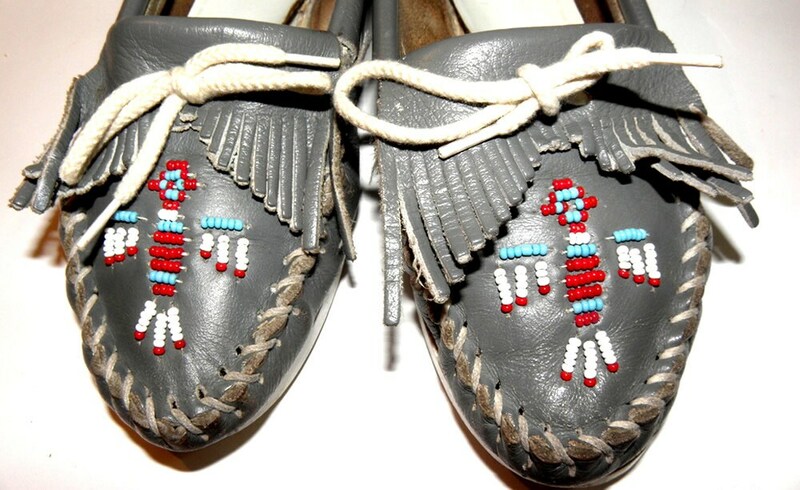 Blue Grey Leather Hand Stitched Vintage Minnetonka Moccasins in Ladies Size 6.5. 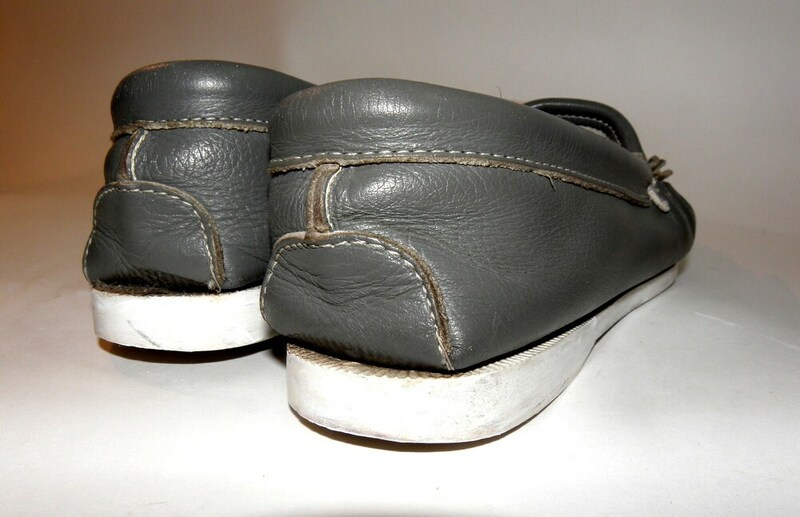 These are in good vintage condition with moderate wear. 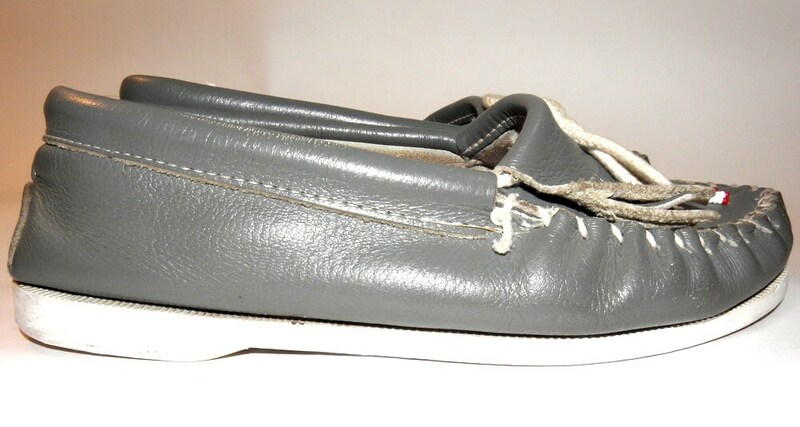 The sole is made of rubber and has a lot of use left in them. The beadwork on the toes is very beautiful! They measure 9.5" long (24 cm) x 3.25" wide at the ball of the foot (8.25 cm). 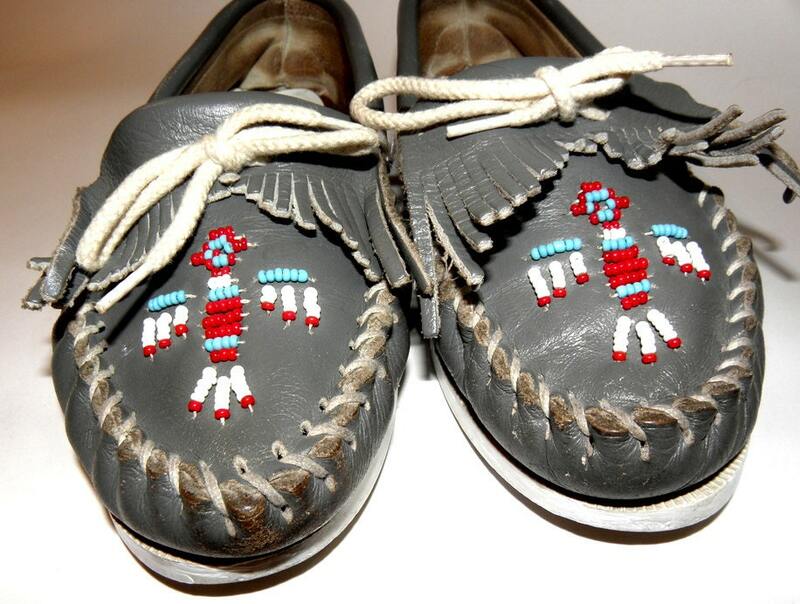 BUY NOW and own these excellent Vintage Minnetonka Moccasins!